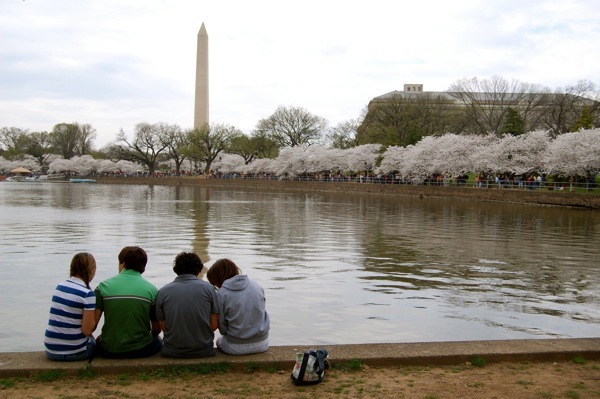 Taking a break along D.C.'s Tidal Basin during the National Cherry Blossom Festival in April 2007. 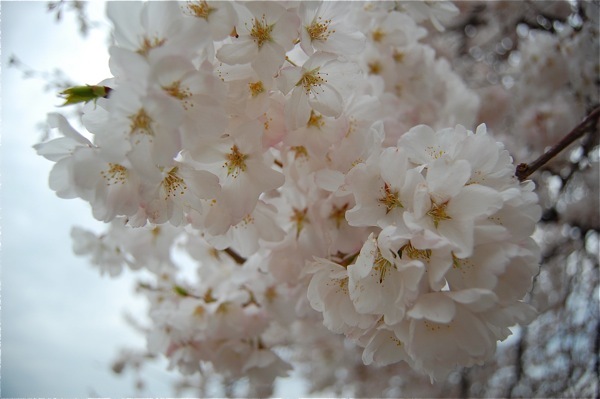 Now that this year's National Cherry Blossom Festival is in full swing, I wanted to take the chance to share some photos I snapped at the event two years ago. 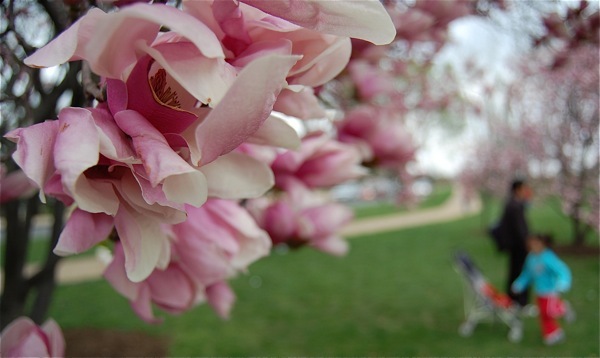 I took a Saturday out of my busy schedule at American University to take hundreds of photos on the National Mall and around the Tidal Basin, the most popular viewing spot for blossoms in Washington. 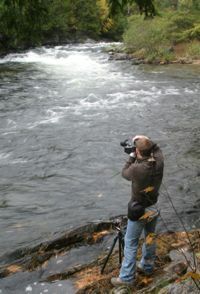 I was rediscovering my love of photography at the time. With a loaner Nikon digital camera from the school, I took these shots. 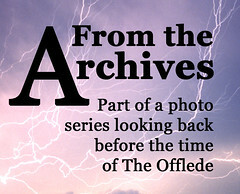 Expect more "From the Archives" posts on The Offlede. 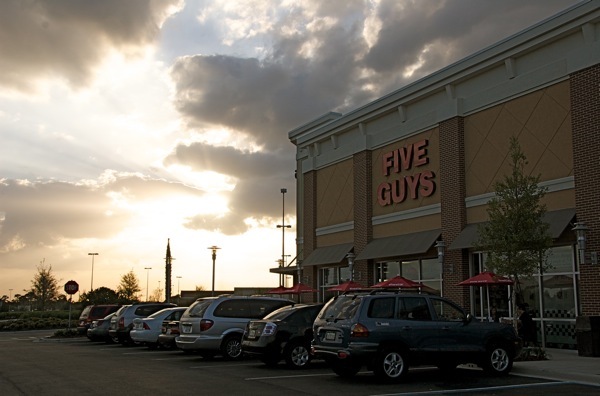 The recession has hit home in the form of no overtime at work. In fact, Gannett Co. Inc. is taking work time away from its employees. The company is again requiring newspaper workers to take a second five-day furlough during the second quarter. That means there is less disposable income to use on travel and local excursions that provide much of the content for this blog. Newspapers have long depended on the automotive and real estate industries for revenue in both display and classified advertising. But with them suffering disproportionately in this recession, newspapers have taken a huge hit, too. Their success or failure has always trickled down. When the economy starts to rear its head again, we should see better times. Until then, blog readers will have to cope as I relate a few chapters of my past through photos. They'll be mostly in chronological order. This first installment is an exception, simply because the advent of this year's festival makes it more timely. 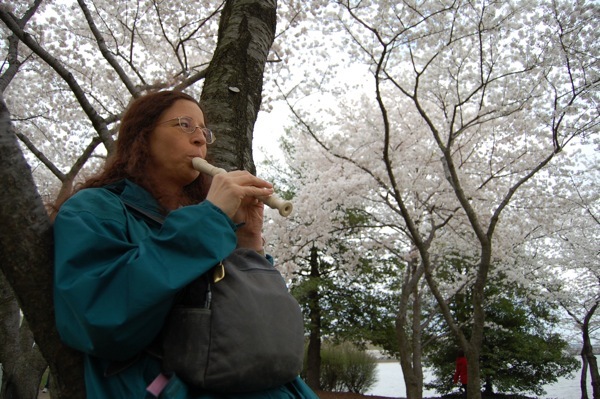 Lisa Tansey, 47, of San Diego plays "Yankee Doodle Dandy" on her flute near Franklin Delano Roosevelt Memorial Park along the Tidal Basin. "I like playing around good nature," she said. 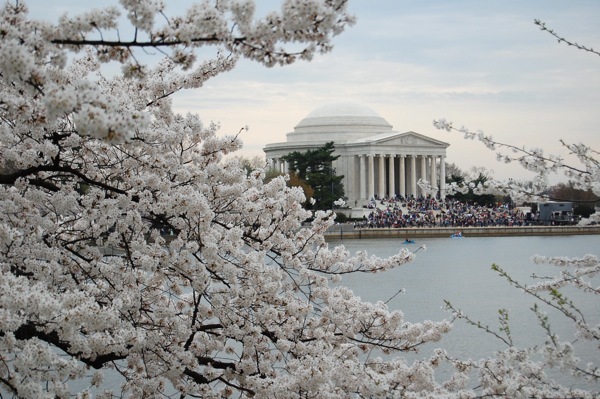 Looking across the Tidal Basin at the Jefferson Memorial. 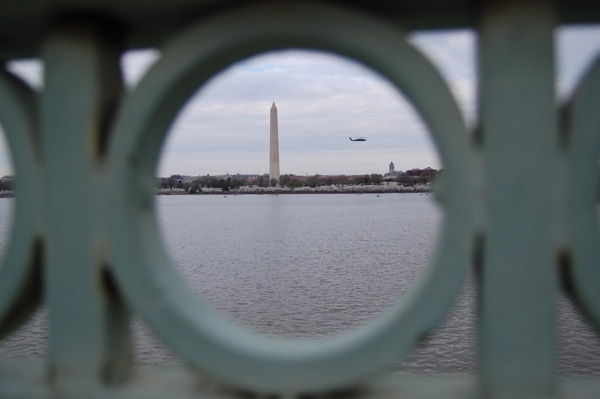 A helicopter of the Marine presidential fleet flies over the National Mall, as seen from the Tidal Basin Inlet Bridge. Taking photos with a rather old camera. 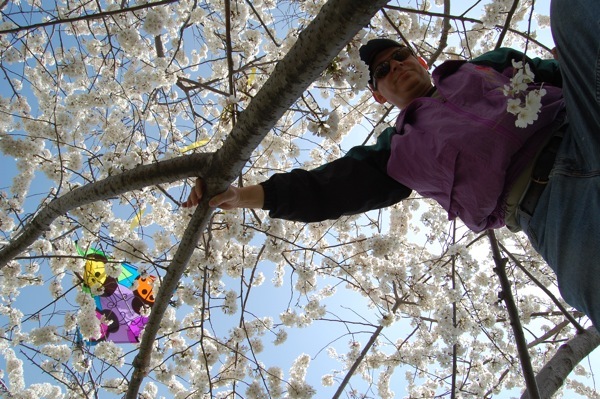 A father climbs a cherry tree to fetch his son's kite after it got stuck during the Smithsonian Kite Festival, which is part of the blossom festival. Climbing the trees is illegal. 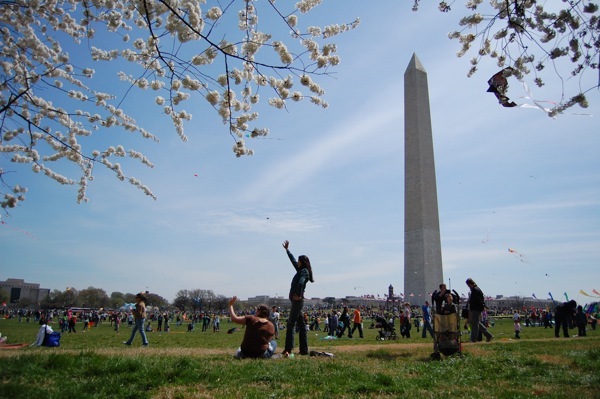 Two festival attendees wave over their friends during the kite festival on the mall. 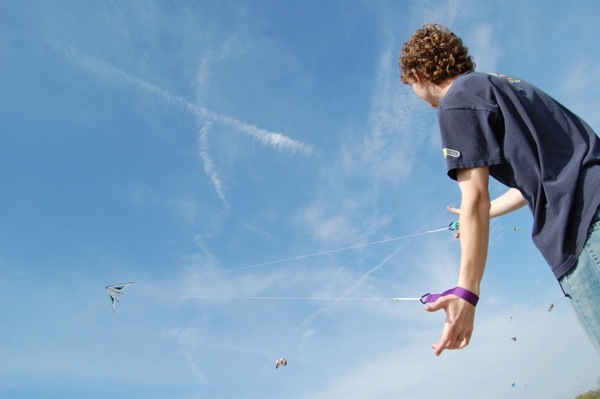 Michael Melvin, 23, guides his two-string kite with ease, pulling it horizontally, vertically and diagonally, as it makes a deafening whipping sound when the wind resists. An old story I wrote about the festival is here. 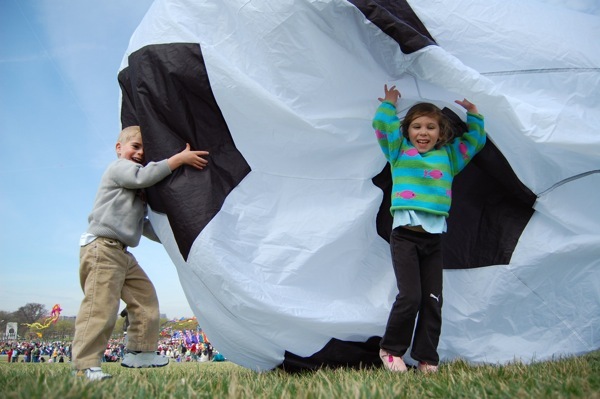 Eli, 3, and his friend Mara, 4, play with a large kite-like soccer ball that fills with wind. 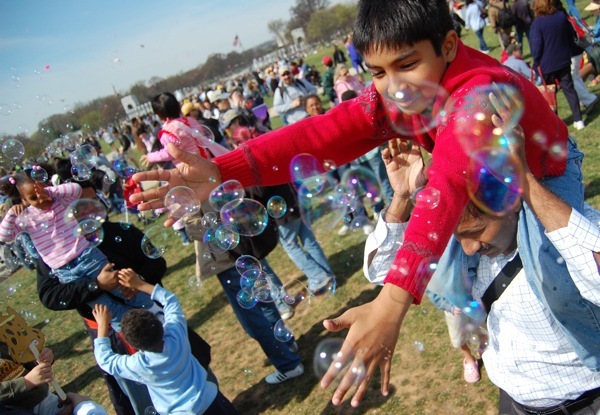 Little children were fascinated by the bubble machine on the National Mall. 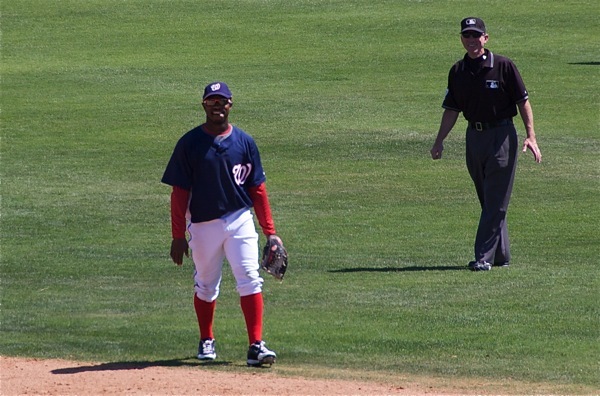 Nationals second baseman Willie Harris and the umpire share a chuckle after Harris caught a popup on his fourth try. Tigers batters slap hands after scoring on a two-run home run, which gave Detroit a 3-2 edge over Washington, and eventually the win. 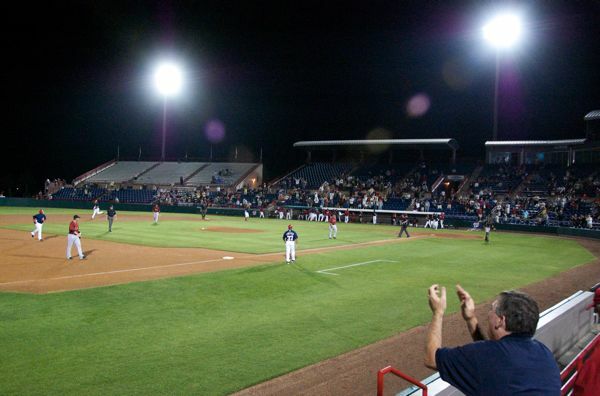 Without alcohol, it's sometimes difficult to stay occupied throughout a nine-inning baseball game. Especially when it's the Washington Nationals. 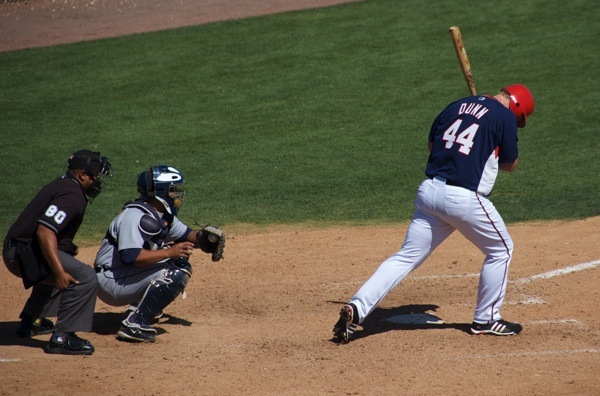 But the perennially bottom-tier team found a way to entertain fans Monday at its last spring training game of the year at Space Coast Stadium in Viera. And it was by shear ineptitude. 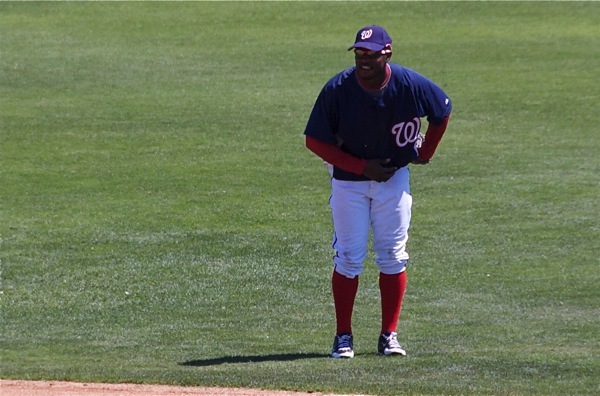 Willie Harris of the Nationals, who more frequently plays outfield now, started at second base, where he has played much of his career. Maybe his time away from the position played into his performance. 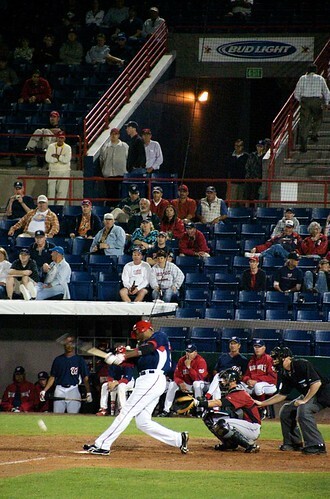 The first mishap was when the first baseman went after a popup in foul territory. Harris rushed to get behind Adam Dunn, called him off - I got it, I got it, I got it - and proceeded to miss the ball. It should have been Dunn's catch. 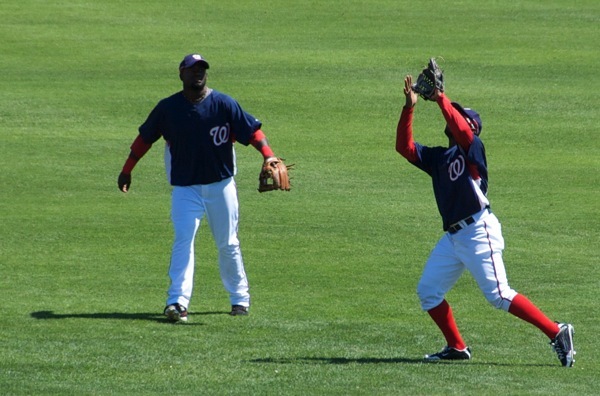 At the end of the half inning, Dunn jokingly tossed Harris a popup. Harris squared his body, and caught it. The crowd cheered. In the fourth inning, on probably the highest-hit ball of the day, Harris misjudged the popup, which fell to the grass behind him. 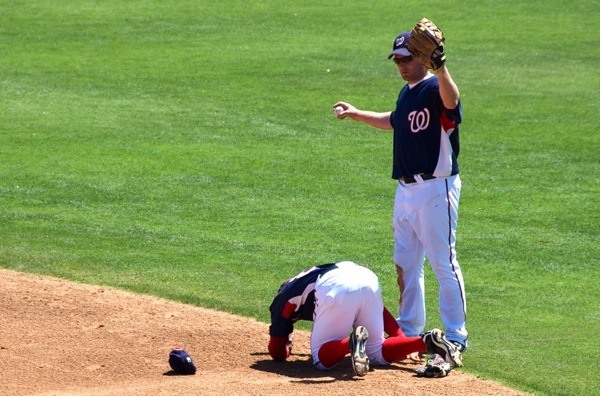 Harris also fell (above), but after getting a checkout from a trainer, he stayed on the field. 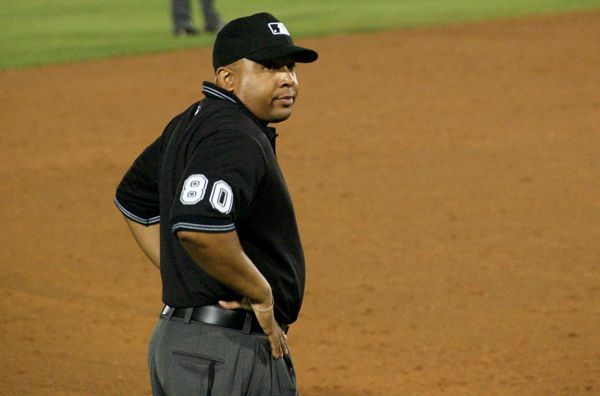 He was charged with an error. The crowd applauded. 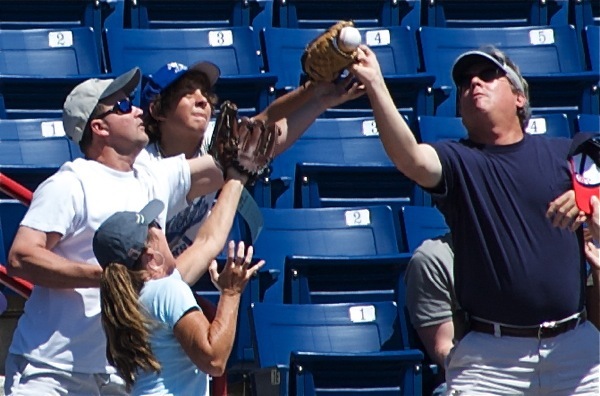 Meanwhile, the fans showed skill, catching foul balls left and right (above). Most of them could have pulled off a "Rookie of the Year" moment and taken Harris' slot at second base. In the fifth, Harris chased a popup near the first-base line, but it went over his head, again hitting the ground in foul territory. He wasn't charged with an error, but it was a catchable ball. He bent down, ripped up some grass and threw it into the air, checking for wind speed and direction. But that's something you would more often see Tiger Woods doing. The crowd laughed. I stood up and yelled, "Apparently, third time isn't a charm." Finally, on a high popup to shallow right-center field, Harris tracked the ball through its flight (above) and actually caught the thing. The crowd gave him a standing ovation. The umpire laughed. Harris gave a bow (below). 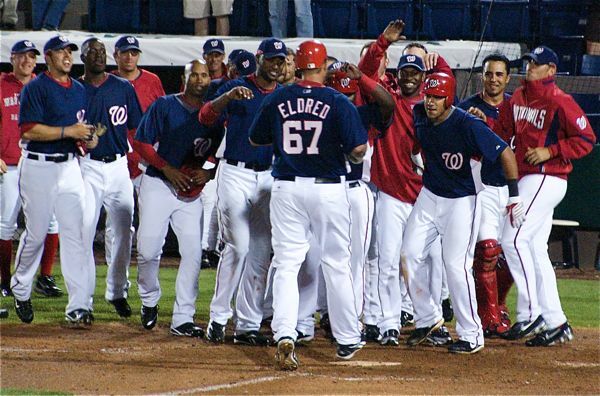 After the inning, Harris lifted his arms for a curtain call as he headed into the dugout. But, yet again because of the Nats' ineptitude, opponent Detroit Tigers got the last laugh. They won, 3-2. Fortunately for Harris, none of those runs were a direct result of his defensive issues. 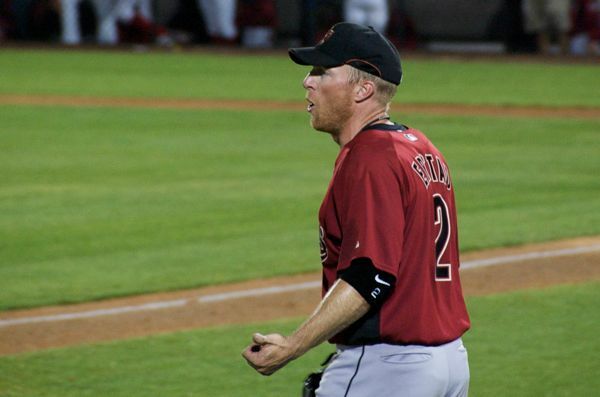 Adam Dunn had two strikeouts on the day. Facebook. I created my profile in August 2004, months after it was started at Harvard University and at the beginning of my junior year at the University of Maine. At the time, it was called TheFacebook.com because Facebook.com was occupied. I consider myself an experienced user of today's most popular social network. My Facebook wisdom allows me to dismiss some parts of the site such as the "Where should you be living?" quiz that many of my friends have been taking. I noticed that an alarming number of them got the same answer: Seattle. Only a few got Paris. Some got "the country." I snooped around various blogs and discussion forums, and many people have been either delighted or disappointed that they should be coffee-drinking, drizzle-loving Seattleites. Something's fishy, I thought. And I had a theory: Someone in Seattle might be behind this. So I did some light digging. The third-party developer of the application is Arwyn Robinson. One would think that the developer would maintain a Facebook profile, and the only Arwyn Robinson on Facebook is a high school student set to graduate in 2011. A high school kid developed software? Not really. Actually, it's a simple quiz that can be put together in a matter of moments. Even a caveman can do it. But the particular high school that this Arwyn attends intrigued me. It's Sandpoint High. Where is it? Near Spokane, Wash., across the state from Seattle. 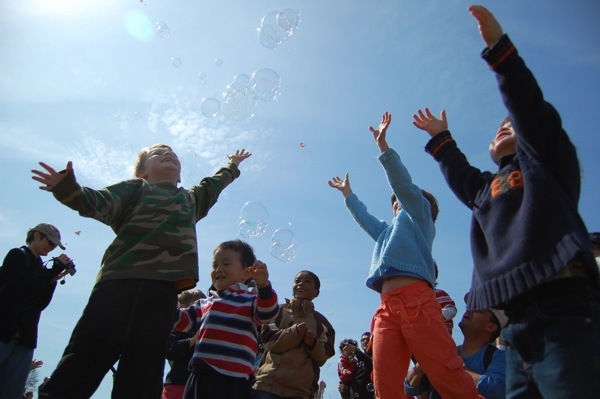 The quiz asks seven questions about living preferences, including entertainment, food and relaxation. I doubt seven questions properly account for all the factors one considers in relocating. And I'm guessing that there aren't many possible answers for the quiz and that it skews toward Seattle. 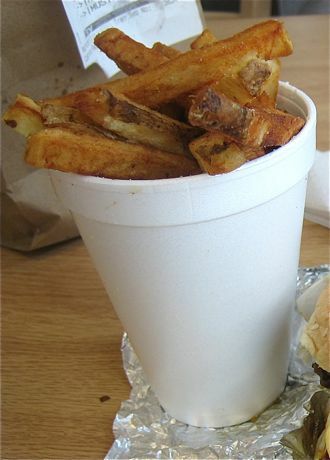 In a comment section for the application, a quiz-taker says, "The stupid quiz picked almost the furthest place on earth from my current location - I live in Mauritius and it told me that I should live in Seattle (a city I admit that I quite like apart from the absence of decent coffee)." The Internet activities that people engage in amaze me. Some are productive. Some are pointless. I'm certainly guilty of the latter, as is apparent in this post. But as for Facebook quizzes, with all their shallowness, they aren't worth your time. Link: To become my Facebook friend, click here. 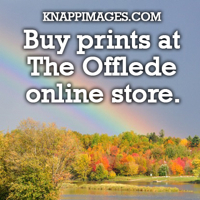 Let me know that you're a fan of The Offlede. OK. OK. I didn't exactly bake these. But they are homemade. 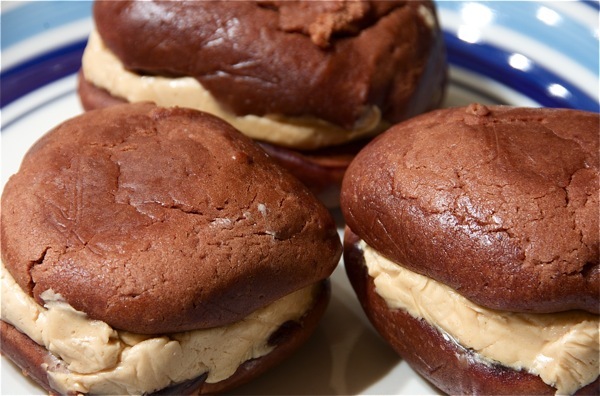 I received three whoopie pies in a shoebox just days after they left the kitchen in Maine where they were born. It was the person who gave birth to me who sent them, unprompted, after I asked her for the recipe last week, when I made this post about a New York Times story on whoopie pies. These are the peanut butter variety, and the recipe is based on the one in The Yummy Book, a cookbook that features Marshmallow Fluff as its star ingredient. You can download it here. It was the first time in years that I tasted a whoopie pie. It was as sweet and sticky as a candy cane. And even better than I remember. 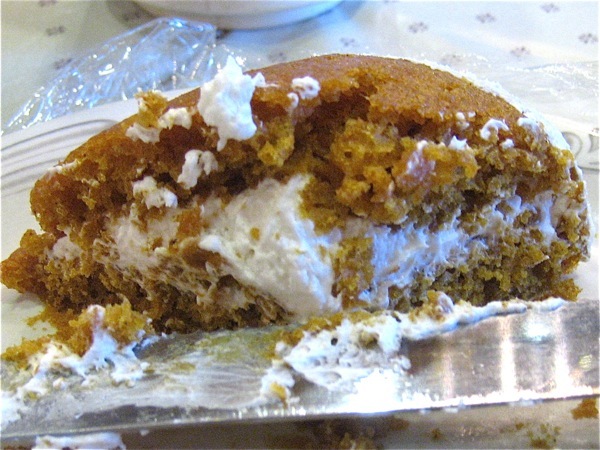 Link: A friend shared this site, where you can order whoopie pies directly from Maine at $24 a dozen. That's much cheaper (and more original) than the ones from Williams-Sonoma. Still, I suggest you make them yourself. Either way, you must join the whoopie pie movement. 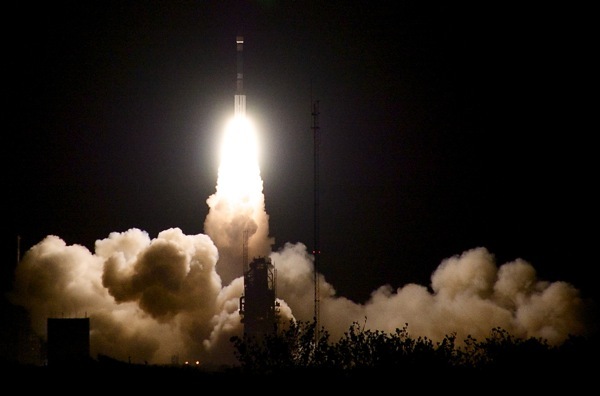 A Delta II rocket lifts off early Tuesday. I certainly could have stood to get more light into this photo. Click on the "HD" button in the right corner (so it's red) to watch in high definition (again, I apologize for the jerkiness). I set out for the beach early this morning to get a timed exposure of a Delta II rocket lifting off from Cape Canaveral. I stopped in Cocoa Beach, near my old apartment, and walked onto the beach. This was the first night launch for which I haven't been at work, so to see the rocket bathed in giant spotlights was breathtaking. I was so captivated that I had to get closer. And getting closer would mean a timed exposure wouldn't be an option. My lens isn't wide enough to capture the whole sequence. 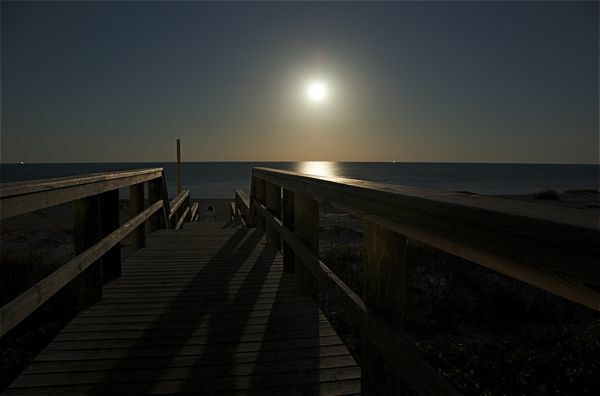 Jetty Park, near Port Canaveral, is 2.3 miles south of Launch Complex 17A at Cape Canaveral Air Force Station. It's the closest public viewing area for any launch. I decided I had to go there. The gate for the park was closed, but a man at the entrance directed traffic through the outgoing lane. For a minute, I thought I wasn't going to get in. But I did, and unsurprisingly for a 4:34 a.m. launch, the place wasn't too crowded. Most people - including children, a Dutch couple and a man from Orlando who said he never misses a launch - complained that they were up too early. As for me, I was up too late. On one side, the fishing pier at Jetty Park parallels the canal for ships making their way toward the port. On the other, it's a, well, jetty of large rocks. At the end of the pier, spectators had a clear view of the rocket as it sat on the pad. I found a table used for cleaning fish and started to set up my equipment. I used only one segment of the tripod legs for my Nikon and plopped it onto the table. My video camera was set up beside the table with its tripod fully extended. I screwed my Pentax film camera to a 6-inch tripod and set it up atop the table. I started recording video two minutes before liftoff. And within 30 seconds of the launch, I planned to lock the cable release of my Pentax to attempt a long exposure, then switch to my Nikon for some shots of the rocket lifting off the pad. But for some reason, the cable release for the film camera wouldn't lock. And as I saw a glow coming from the pad at ignition, I abandoned the Pentax, which fell onto the table, and snapped away with the digital. 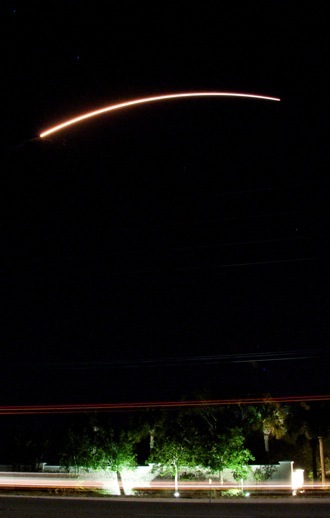 After several quick shots with the Nikon, I switched to my Canon high-definition video camera, attempting to track the rocket through it's flight. 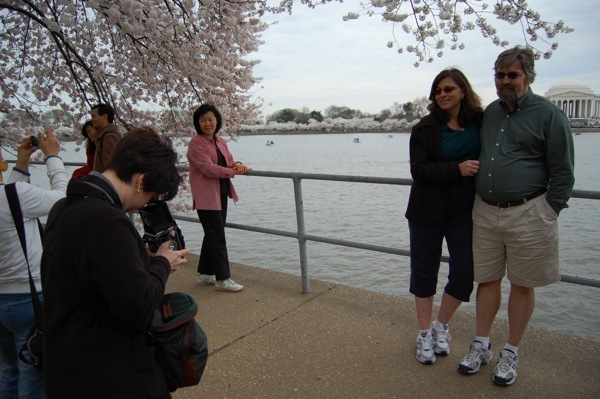 Doing that, however, was difficult with a tripod not really meant for video cameras. That's why you'll notice a lot of herky-jerky motions in the video. In the first part of the video, you can hear my camera clicking away. When the clicking stops, that's when I take over the camera. So I've got nothing to show from my film camera, and the digital shots came out slightly underexposed. 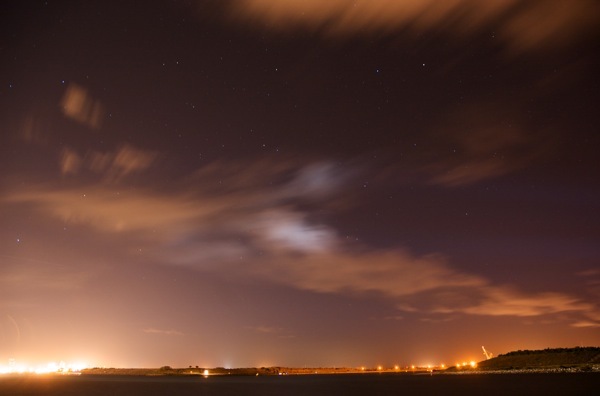 I was worried sick about overexposure, which is what happened the first time I tried to shoot a nighttime shuttle launch. Instead of quality, I went for quantity by trying to capture the launch in three media. It didn't work that well. In the future, I might have to set priorities. This is just a frame grab from the video. Contrails from the rocket blow in toward Port Canaveral (photo). No launch, but there were clouds. Another fueling issue prevented me from photographing a nighttime launch. 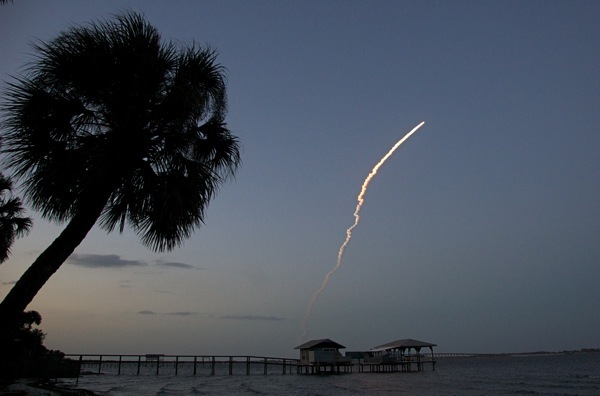 An Atlas V rocket was scheduled to lift off from Cape Canaveral Air Force Station at 9:24 p.m. Tuesday. 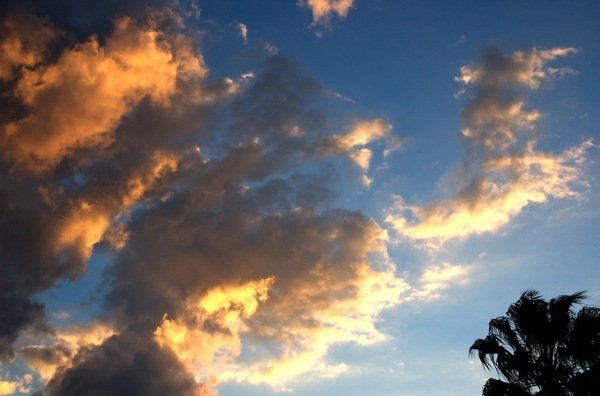 But an engine valve in the upper stage of the 19-story rocket sprang a leak, relegating me to pictures of clouds at sunset. Last week, my lame fallback was the moon. Unfortunately, I had already made the 35-minute trip to Port Canaveral, the closest public viewing site for a liftoff at Launch Complex 41, about 12 miles across the Banana River. Parking for launches is allowed along the waterside thoroughfare to Disney's cruise terminal. I was the first to arrive Tuesday, though, and that made me feel like a no-life loser. But I felt worse for the people I left behind who didn't get the text message from FLORIDA TODAY that said the show was off. I'm trying to develop knowledge of the best sites from which to view launches. 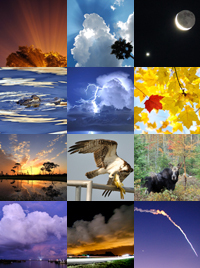 Probably the best resource on the Web is this site by Ben Cooper, a photographer and engineer at Kennedy Space Center. I'm just trying to keep myself busy on my "weekend" days of Monday and Tuesday. But right now, the launch gods aren't cooperating. 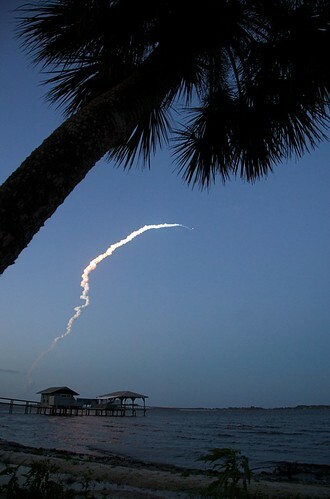 Discovery lifts over the Atlantic, as seen from the shores of the Indian River in Palm Shores. The shuttle, after it had reached sunlight. Update: News 14, a 24-hour cable station in Raleigh, N.C., republished, with permission, The Offlede's photos of Discovery's launch on STS-119. Tony Antonelli, the shuttle's pilot, was raised in Fayetteville, N.C. The Web story is here. 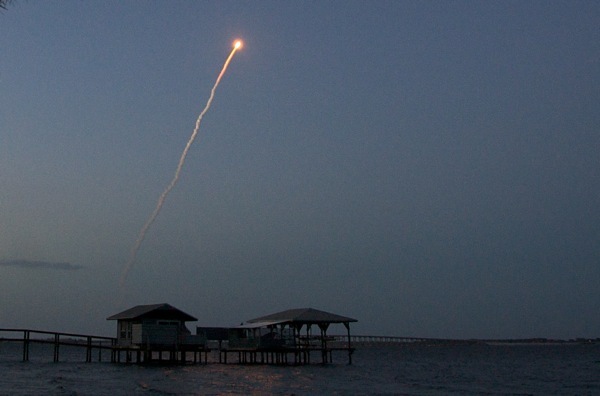 As I mentioned Wednesday, the post-sunset launch of shuttle Discovery would be a pretty one, yes, but a very difficult one to capture with a digital camera. 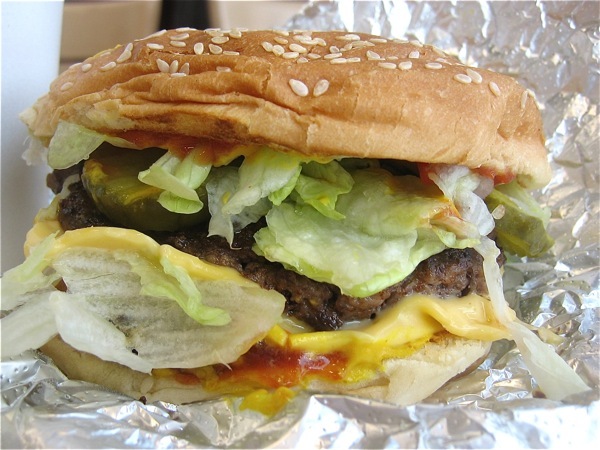 Come 7:43 p.m. Sunday, I was proved right. I skipped out of work about 15 minutes before the launch, scurried down the highway to a local park beside the Indian River north of Melbourne, sat on the rocks and waited. My location was about 30 miles south of Kennedy Space Center, so my expectations weren't high in the first place. At ignition, Discovery's twin solid rocket boosters burned brightly, casting a reflection on the river. That's something you don't get during the day, of course. 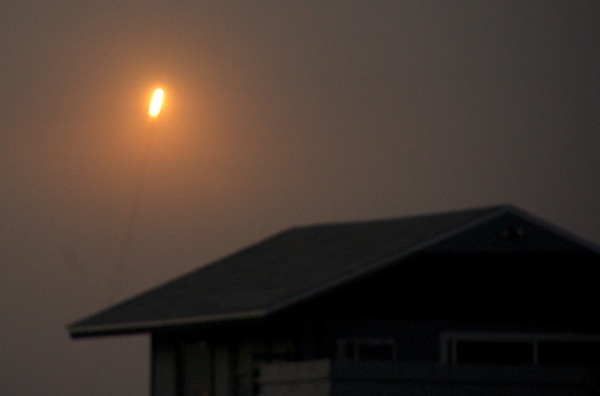 But the most beautiful part of the launch was when the shuttle flew into the light of the setting sun - literally up into the sunset - as it climbed toward space. The contrails glowed with red, orange, blue and white. It was sort of a rainbow with colors stretching its width instead of its length. 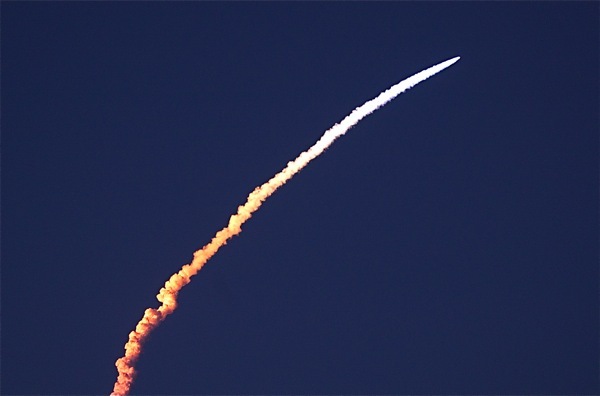 But because the most beautiful part of the launch was when Discovery was bathed in sunlight, it was difficult to expose for rest of the frame, which was covered in twilight. Film might allow for a higher contrast and a better product, but who shoots film these days? Other obstacles to good photos: a high ISO, which, though necessary to allow for proper lighting, makes the final product extremely grainy on lower-end digital SLRs such as mine; a slower shutter speed, again necessary for lighting purposes but tends to allow motion blur; and poor focusing, again a product of the light. Nevertheless, I shot 140 photos in a period of a few minutes. But they would have been so much better if the launch was an hour later or an hour earlier. Darn NASA has to hit its target, though. Back at work, we had a difficult time choosing a lede front-page photo from a staff shooter for most of the reasons I mentioned above. 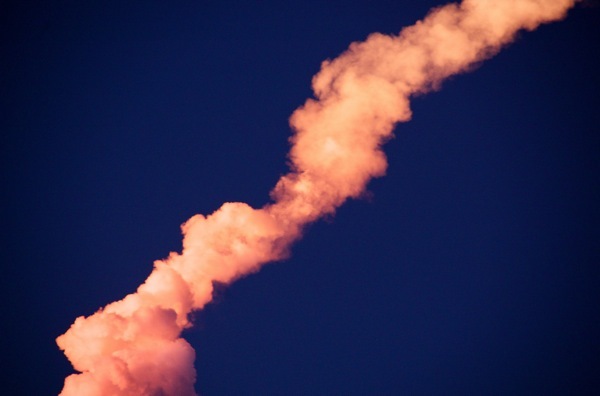 There are only nine more shuttle launches left to get the perfect photo. As for rockets, my next try will be Tuesday, when an Atlas V is set to blast off in a nighttime launch. There's always the issue of weather, though, and the forecast isn't looking great for that launch. 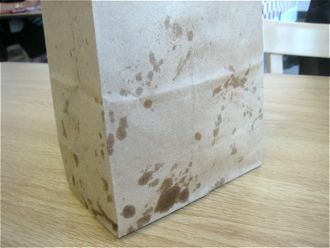 But even if it's scrubbed, it will be rescheduled, offering another chance at a another view and another photo. It's probably the only benefit to living on the Space Coast. Zoomed in at 200mm, shortly after liftoff. 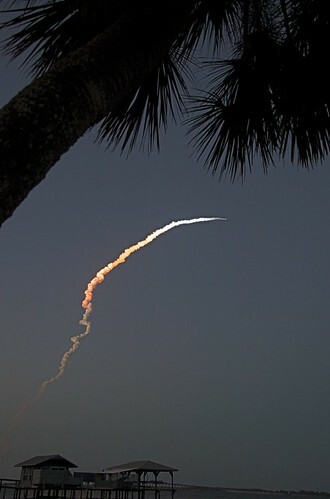 Discovery, as seen from Palm Shores, Fla., just south of the Pineda Causeway, which you can see in the photo. 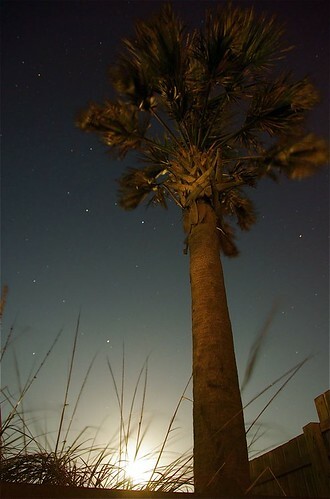 The moon, after rising over the Atlantic off Cocoa Beach on a night that was supposed to feature a shuttle launch. There's a man smoking a cigarette - or something - at the end of the walkway. I saw 99 percent of the moon and 0 percent of the shuttle. I'm really not in the mood for words right now. I get enough of them at work. And today? Well, it's a furlough day, or unpaid leave, or a pay cut. And today, I'm not supposed to have anything to do with work. That's why a shuttle launch would have been a good thing to keep my mind of words, those things that define my existence. It was supposed to be a visual spectacular. I readied my digital SLR, my film camera and my high-definition video camera. I was even poised to buy a third tripod for the 9:20 p.m. launch. But no. NASA couldn't properly fuel the external tank for shuttle Discovery. A valve sprang a leak 20 minutes before the tank was full. 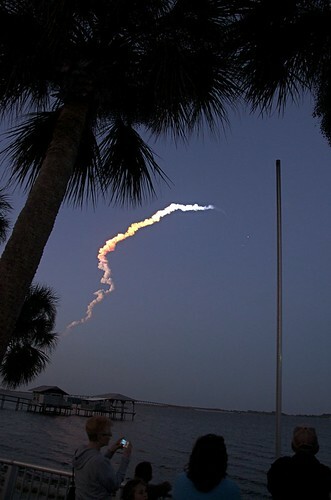 I got word - via text message, from co-workers - that the launch had been scrubbed, just before I was about to leave for a front-row seat in Titusville. The mission's start was delayed until at least Sunday, when it'll lift off - if all goes well - at 7:43 p.m., which is 12 minutes after sunset. At that time, the conditions won't be dark enough for a timed exposure, which bummed me out. It was to be my second try at a nighttime shot of a shuttle, the first being exactly one year ago when I failed miserably trying to capture Atlantis on March 11, 2008. Discovery's streaking arch in a timed exposure could have been either ruined or made more interesting by a nearly full moon. I took my camera out to the beach, despite there being no launch, and watched the reddish satellite rise over the Atlantic Ocean. The photos of its rise were miserable, but I snapped a few after it had been hanging in the air for a while. They were still bad, but not quite as bad. As for Discovery, NASA wants to shoot it up Sunday, allowing for the fullest mission as possible. But I don't have Sunday off from work. How do I describe that? There are no words. I assumed my usual stakeout position for Friday's rocket launch: beside the sign at the main entrance of FLORIDA TODAY's headquarters along U.S. 1 and the Indian River in Melbourne. There isn't much you can do with a photo of a nighttime rocket launch other than take a long exposure of it streaking across the sky. Whoop-dee-doo. In keeping with that conviction and with my run-of-the-mill rocket picture-taking technique, I shot Friday night's delightful lights from in front of the FLORIDA TODAY building with even more lights - from ground-based vehicles - streaking through the foreground. 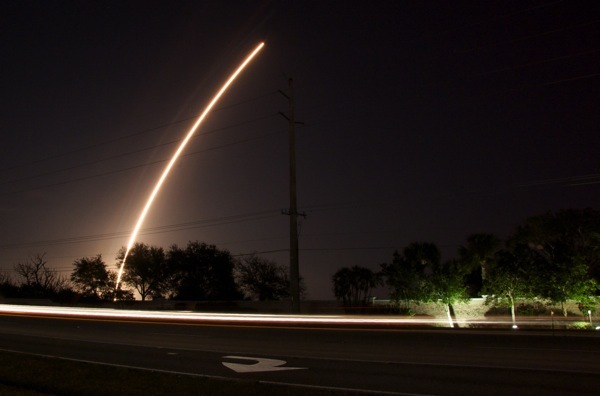 It's pretty much the same frame job as my last photo of a rocket liftoff on the Space Coast. See that here. But this time, I cranked the ISO up to 400, which allows more light to hit the camera's digital sensor. The shutter was open for only 52.2 seconds, as opposed to 86.6 on my previous try. That's because this rocket was a Delta II, a considerably lighter and less bulky craft than the monstrous Delta IV. It's a more agile vehicle, so it climbed quickly, allowing less time for an exposure. After the liftoff and initial shot, I created a vertical version, left. In this photo, there's a slight errant streak on the left end of the main one. That's the ground-lit solid motors as they separated from the vehicle and fell toward the ocean. The launch was a successful start for a NASA telescope called Kepler that will look for planets in the Milky Way that might sustain life. I set up my camera and tripod just a minute before the liftoff. And minutes after taking the photos, I was inside, putting a staff photographer's work onto Page 1. His shot was all right. Wednesday's nighttime show, starring shuttle Discovery on its mission to the International Space Station, should be more photogenic. 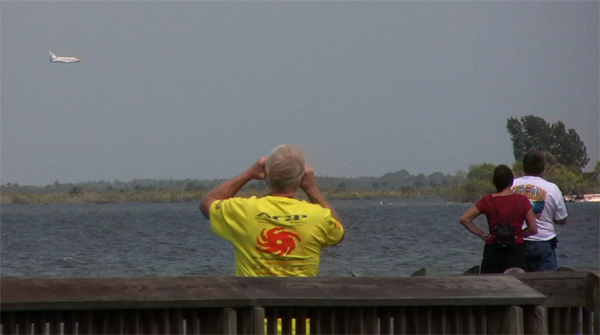 I plan to start that stakeout five hours before liftoff to ensure a front-row seat at Space View Park in Titusville. There will be video, too.